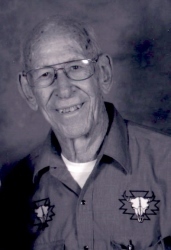 Joe Burgess passed away January 29, 2019. He went quietly at home surrounded by his family. Joe was born in Fort Myers on August 21, 1931. He attended schools here in Lee County and graduated from the University of Florida with a degree in Electrical Engineering. While at the University he met and married Delores Duquenne. After graduation he went to work for Hughes Aircraft Co. out of Culer City, Calif. As a Tech Rep for Hughes, he traveled around many Air Force bases teaching the use and repair of Hughes equipment. After 13 moves in 11 years he had enough. He quit Hughes and went to work with Pan Am Airlines, working on NASA contracts. When it was suggested that he move back to California, he quit and moved back to Fort Myers and opened his own business. He owned Burgess Engineering until his retirement in 2018, at which time Joe Broughton, his grandson, took over the business. Joe filled his retirement with hunting trips and a lease in Hendry County, as well as going on foreign travel with his wife. In the last few years he has enjoyed a quieter life due to failing health. Joe is survived by his wife of many years, 3 children: son, James (Jim) Burgess, wife Linda, (Fort Myers), grandchildren: Elle' Burgess and Caroline Quintanilla (Lou), daughter, Barbara Broughton,(Fort Myers), grandchildren Joe Broughton (Nora), Laura Walker (Michael) and Ryan (Britt) Broughton and son, George Burgess (Pam), (Charlotte, N.C.), granddaughter Parris Clarke(Farrell). Also 10 great grandchildren.